Political marketing is a relatively new terminology in mainstream political science literature. Political marketing implies the usage of marketing tools, techniques and methods in political process. In other words, political marketing is the outcome of the marriage between marketing and politics. Having worked as a campaign volunteer under her close supervision, I can confidently assert that Kelly Joseph is a gifted campaign manager. In my role as a campaign analyst and copy writer, I saw Ms. Joseph embrace and successfully deliver on the challenge of running a five-week campaign for Kenneth Ricker, a write-in candidate for mayor of Leominster. I saw her tirelessly oversee all marketing and advertising, volunteer coordination, media relations, and candidate scheduling/itineraries. Reporting to Ms. Joseph was easy and a pleasure, as she gave me immediate feedback and quick turnaround on all material I generated for the campaign. The evidence of her prowess in running campaigns though was the astonishing result of her work. Keep in mind that our candidate, Kenneth Ricker, was not on the ballot and announced his run only five weeks prior to the election. He fell just over 100 votes short of unseating a 12-term, 24-year incumbent in a municipality with a population of 41,000. This was a stunning, highly improbable near-upset and, without a doubt in my mind, it does not happen without the managerial acumen and team leadership of Kelly Joseph. I am humbled and honored to have worked for her. Please consider Kelly Joseph for a position, as she will undoubtedly prove to be a great asset to your campaign. I am writing this letter of reference on behalf of Kelly Joseph and her ability to run a political campaign. I recently ran for Mayor of the City of Leominster as a write in candidate, thirty three days before the election. I ran against the states longest serving Mayor with 24 years in office. Ultimately I lost the election by 106 votes after a recount. There is absolutely no doubt that this amazing feat could not have been accomplished without Kelly’s professionalism and expertise. As a political new comer I learned so much about politics as well as campaigning from Kelly. Her experience and leadership paved the way in running an honest campaign with dignity and class. The fact that Kelly runs both an advertising agency as well as a promotional products company helped me to be able to afford to do the things it takes to get the word out. Her design work for mailers and handouts as well as signage was cutting edge and helped bring my campaign to the next level. I would without a doubt highly recommend Kelly Joseph to be the campaign manager for anyone that is interested in winning a political seat. She has the drive and know how and will definitely give you 100% of herself with full commitment. I was extremely proud of my accomplishment in running for Mayor and I was just as proud as having Kelly by my side and leading me through the political process. Just over eighteen months ago, I approached Kelly at Kreative Design to ask her advice. I was considering running for City Council in a special election that was only a few months away. I had no political experience and a very limited budget. By the end of that meeting, I had a campaign manager, a campaign slogan, and a comprehensive game plan for the next few months. 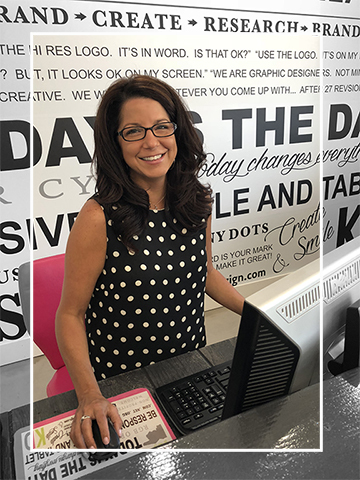 Kelly and her team at Kreative Design immediately got started on my campaign signs with their eye-catching colors and smart slogan. My social media and website were up and running in a matter of days. She helped me pick my campaign team and to develop my position and political agenda. She even hosted my campaign kickoff party at her office. Kelly and her staff are the consummate professionals. Every piece of literature was scrutinized for its content and accuracy. Hours were spent managing appearances and attending events to get the most contact with potential voters. Whether it was late night meetings or early morning phone calls, Kelly was there every step of the way. It is without hesitation that I recommend Kelly and the Kreative Design family. Please feel free to contact me directly should you have any questions.